Dental x-rays are important preventative, diagnostic tools that offer valuable info that is not necessarily noticeable during a typical dental care exam. Dentists and dental hygienists make use of this information to properly and precisely identify concealed dental abnormalities and to devise a precise therapy program. Without x-rays, disease or other problems could go undetected. • Malignant and non-cancerous tumors. • Bad tooth and root problems. • Issues inside tooth or underneath the gum line. Finding and dealing with dental care issues at an early phase can save you time, cash, needless discomfort, and can even save your teeth! The quantity of radiation exposure from a complete mouth set of x-rays is equivalent to the quantity an individual receives in a single day from natural sources. 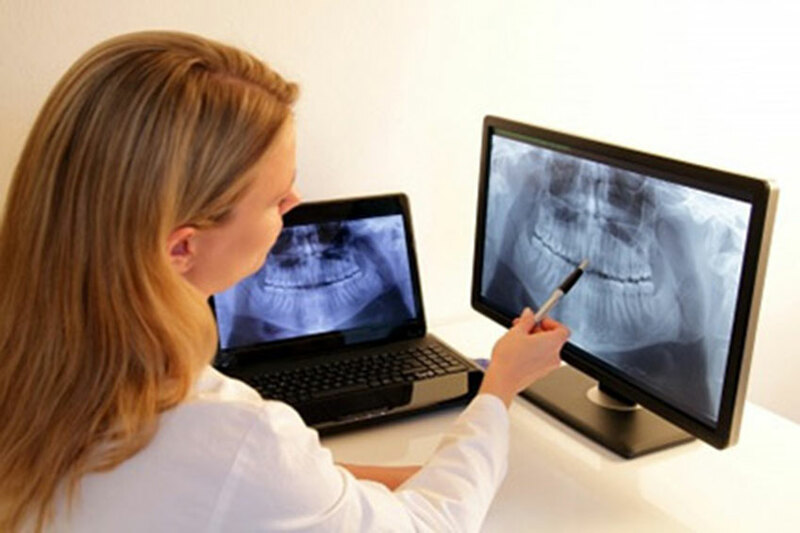 Dental x-rays create a low amount of radiation and tend to be considered safe. Dentist take needed safety measures to restrict the patient’s visibility to radiation whenever using dental x-rays. These safety measures consist of utilizing lead apron shields to protect your body and using contemporary, fast film that reduces the exposure time for each x-ray. The necessity for dental x-ray is dependent on each patient’s specific dental wellness requirements. Dr. Tycast and his dental hygienist will suggest needed x-rays according to the summary of your health and dental history, dental exam, indications and signs, age considerations, and danger for illness. A full mouth set of dental care x-rays is advised for brand new patients. A complete set is typically good for three to five years. Bite-wing x-rays (x-rays of bottom and top teeth biting together) are taken at subsequent (check-up) visits and generally are advised every six to twelve months to identify new dental care issues.